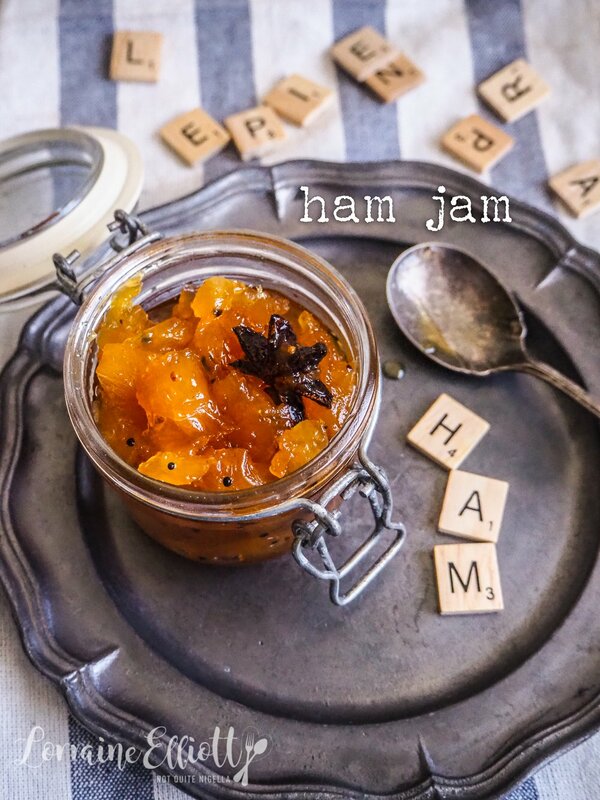 Ham Jam - The Tastiest Condiment For Your Christmas Ham! Are you making a ham for Christmas this year? Well if you're looking for something to transform your ham into a damn fab ham then may I suggest serving it with this ham jam? This wonderful pineapple jam with Asian spices goes perfectly with pork adding sweetness. Don't worry if you're not team ham and pineapple pizza, I find this combo transcends that because of the spices! And you can bet this makes a wonderful edible Christmas gift! 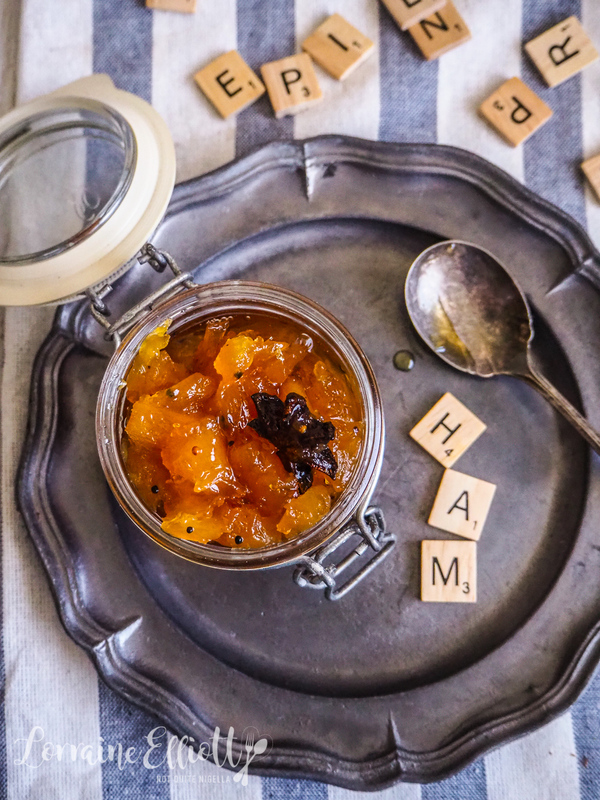 I tried a delicious pineapple ham jam at a cafe that was paired with roast pork. It was such a delightful combination that I decided to make one for myself. It wasn't until after I made my batch that I realised that some people might be frightened off by the mere idea of ham and pineapple. I don't hate ham and pineapple, I mean we are all put on this earth for one reason, even if it is to antagonise people haha ;). But I never order ham and pineapple pizza because there are about a hundred other combinations I'd rather eat before that on a pizza. But pork goes so well with sweet flavours. So much so that I generally always add a sweet element to a ham or pork. I normally dislike fruit and protein but in the case of pork (and duck), they benefit so much from the addition of sweetness or fruit. So that's why I've left the word pineapple out of the name and it's just ham jam because I'm hoping that you'll make it and love it as much as I do and forget the whole ham and pineapple thing. I mean I don't want to start arguments here and ham and pineapple always starts fights. So tell me Dear Reader, do you have a strange job title? Do you like or dislike the ham and pineapple combo? 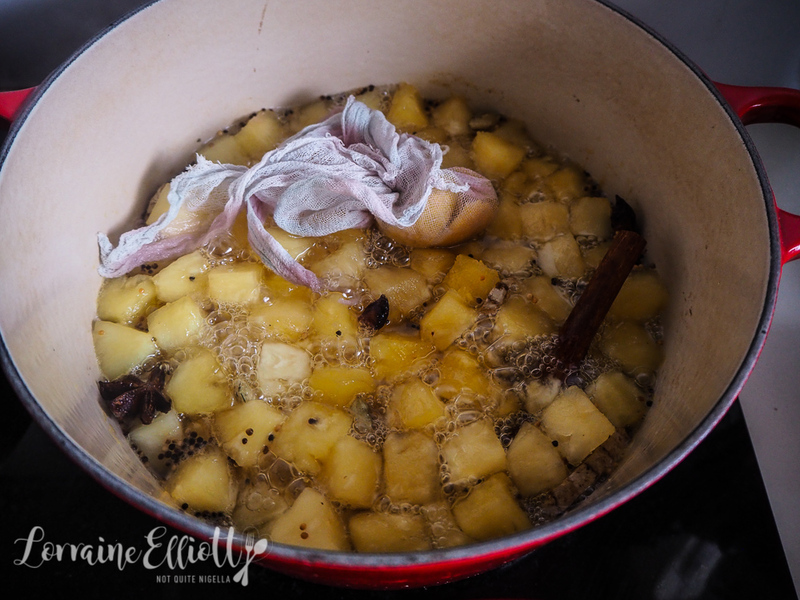 Step 1 - Heat the cinnamon stick, star anise, cloves, cardamom pods, ginger and mustard seeds in a large heavy bottomed pot without adding any oil. The mustard seeds will start to pop-just toast everything briefly. 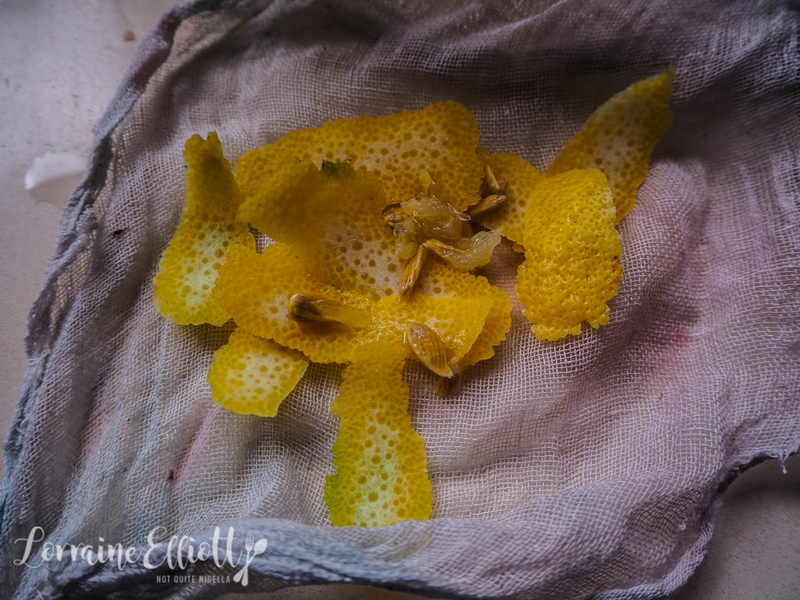 Then add the pineapple chunks, sugar, lemon juice, orange zest and muslin bag with the seeds and peel of lemon. Step 2 - Bring to a boil and simmer with the lid on, on medium heat for 1.5 hours or so, until the pineapple becomes soft and the juice becomes syrupy - if you put some of the syrup on a cold plate and run a knife through it and the part holds, then it is ready. Add the rice wine vinegar and salt to taste. Serve with ham at Christmas or on sandwiches with leftover ham (with aioli-yum! ).